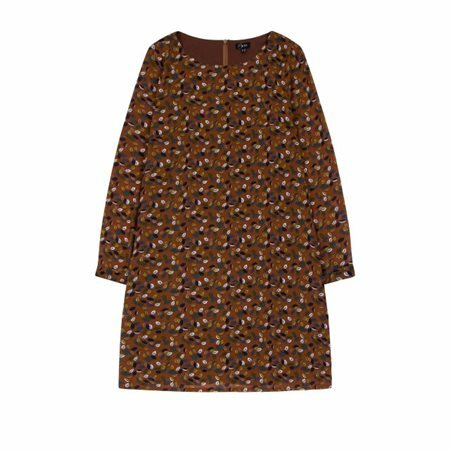 Create a stylish look this autumn in this pretty leaf print dress by Emreco. The rich ochre colour is enhanced with navy, green, yellow and white leaves that form to create a pretty pattern. The dress closes at the back with a concealed zip and has a long semi sheer sleeves, it even has neat little side pockets.